Groggy crawls down sandpapered bogs, sniper-frightened runways and red-velvet nightmares, “Frontier,” smears scrawny gone-daddy yawns from late-night catcalls with deliberate mischief bewitched by coy scene-stealing chameleons. Secreting seedy graffiti from dauntingly exhaustive minds, the indie-pop stalkers’ seventh album scrawls motley topics on defrocked chalkboards as gruff clubs host ravaged cabaret in subterranean mania. Downing a woozy snoot of hotel-lobby blues with a twist of eclectic intellect, long-lost glam-rock astronauts, Deerhunter ride timid Minotaurs through imaginative labyrinths hosting low-rent rodeos where gritty sins wring fresh texts and novel options from trippy rhythms flipping romantic stanzas; cap-sized dreamboats afloat in frozen hopes and washed in cosmic curiosity. 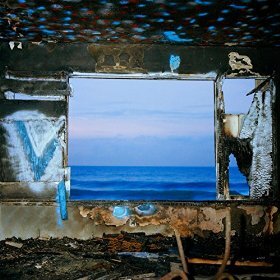 A case of devilish double-features, Deerhunter plays Madison’s Majestic Theater December 15th with Deerhunter’s Brandon Cox’s side-project Atlas Sound opening.